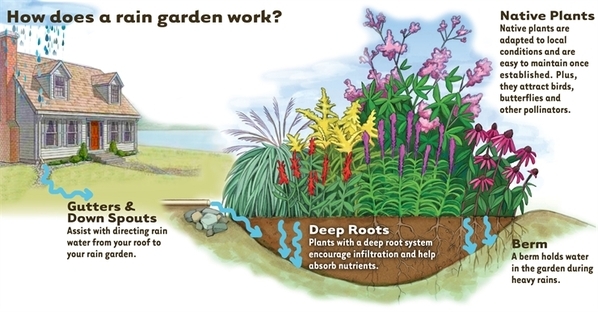 Q: What is a rain garden? A: Rain Gardens are ponding areas planted with a variety of plants that thrive in northwest sun, soil and moisture conditions. They collect water from your roof downspouts and allow it to safely soak into the ground. A: Cisterns are large rain tanks, at least 205 gallons, that capture water from the roof of a house. Their purpose in the winter months is to slow the storm-water down, and in the summer they can be used for irrigation. Q: How many RainWise projects has Monsoon completed? A: As of November 2018, we have completed over 380 RainWise projects, all of which have qualified for funding from Seattle Public Utilities and King County Wastewater Treatment Division. Q: How much does a RainWise project cost? 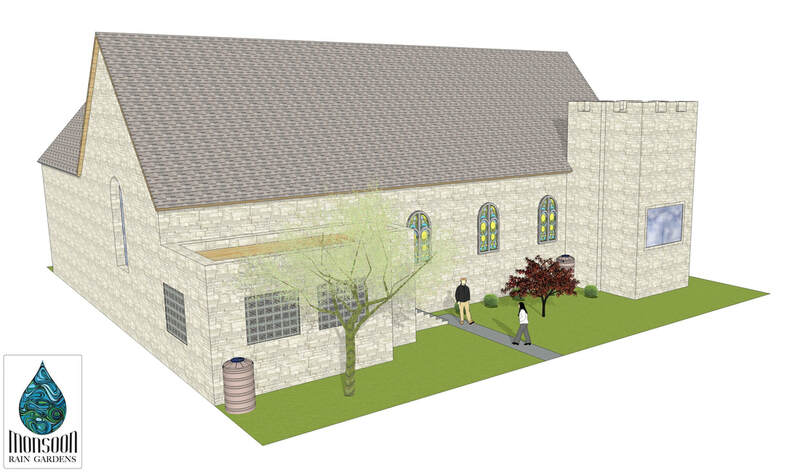 Q: Do I pay for the project up-front and wait for a rebate check from the city? A: Nope, Monsoon Rain Gardens uses the 'Vendor Payment Option' of the RainWise program which allows us to be paid directly by Seattle Public Utilities and King County. For your convenience, we determine how much the RainWise program will provide and cover those costs so you don't have to. Q: Does Monsoon Rain Gardens accept credit cards? A: Yes, we accept all major credit cards! Consultation fees and any out-of-pocket portion of your RainWise project can be paid by cash, check, or online through a secure credit card transaction by clicking the button below. Q: What does it mean to be RainWise? A: Being RainWise is all about slowing down the water that hits your property and making your landscape function more like a forest. This can be accomplished by connecting your downspouts to a rain garden, installing a cistern to collect water, building an impervious driveway, and planting trees on your property. ​Q: Why does Seattle have a program like this? A: The City of Seattle has a "Combined Sewer System", meaning that the sewer and the stormwater share the same pipes. During heavy rains there is too much volume to be processed at the Sewage Treatment Facilities and they often overflow raw sewage into Puget Sound and Lake Washington. Q: Can a RainWise rain garden be in my parking/planting strip? A: No. RainWise rain gardens need to be located on the main property, not the parking/planting strip. Q: Would my church, school, apartment building, or local business be eligible for RainWise? A: Yes! Community centers, religious institutions, schools, and businesses often have large roofs that can capture a lot of stormwater. Larger buildings can have a huge positive impact on protecting our waterways and are fully eligible for RainWise!